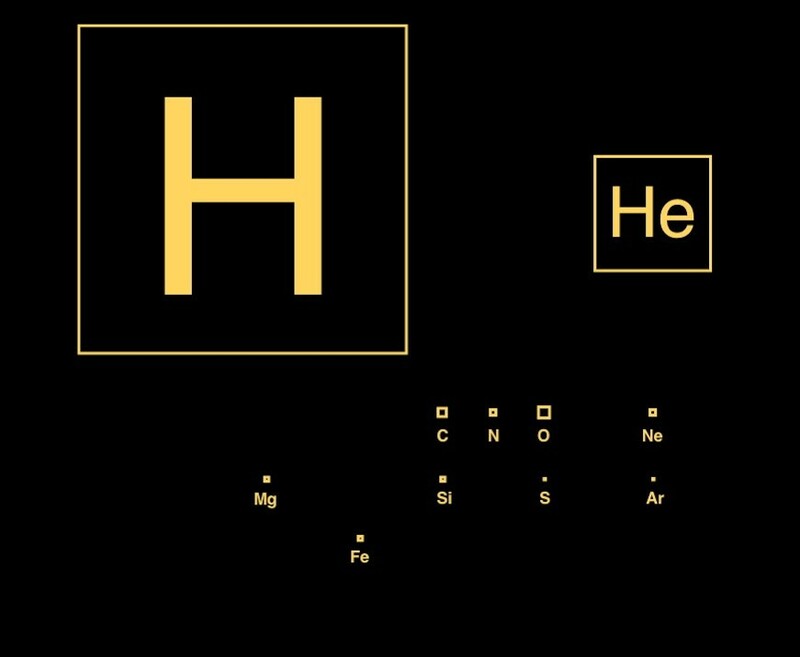 There’s an old joke that the astronomer’s periodic table consists of three elements: hydrogen, helium, and metal. It’s a nice joke, but when you understand how little of matter in the universe is “metal”, you can understand why astronomers focus on hydrogen and helium. You can see this in the figure, which gives the relative abundance of different elements by area, the larger the square, the more of that particular element there is. As you can see, most of the elements of the periodic table are too small to even appear. The few others that do show up are dwarfed by the hydrogen and helium squares. 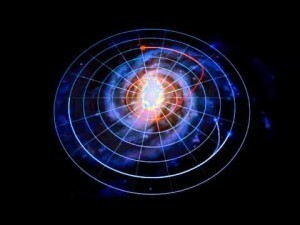 Where the joke is accurate is in the fact that astronomers often refer to all the elements beyond helium as metals. This is is why we use terminology as the metallicity of a star. Since the “metals” of a star includes everything not hydrogen and helium, one way to define the metallicity of a star is simply as the fraction of a star’s mass which is not hydrogen or helium. For the Sun, this number is Z = 0.02, which means that about 2% of the Sun’s mass is “metal”. Another way to express the metallicity of a star is by its ratio of Iron to Helium, known as [Fe/He]. This is given on a logarithmic scale relative to the ratio of our Sun. So the [Fe/He] of our Sun is zero. Stars with lower metallicity will have negative [Fe/He] values, and ones with higher metallicity have positive values. Stars are often categorized by their metallicity. For example, Population I stars have an [Fe/He] of at least -1, meaning they have 10% of the Sun’s iron ratio or more. Population II stars have an [Fe/He] of less than -1. There is a third category, known as Population III. These would be the first stars of the universe, with essentially no “metals” in them. We have yet to observe this type of star. Population I stars tend to be younger than Population II stars. Population I stars also tend to be located in the spiral arms of our galaxy, while Population II stars tend to be in the outer (halo) region of our galaxy. This makes sense, because one would expect Population II stars to either be older, and therefore formed when there was less metal around, or simply formed in areas where there is less dust (which tends to be high in “metal”). The metallicity of a star does have certain consequences. For example, higher metallicity tends to make a star appear slightly redder than expected. This is because metals tend to absorb blue wavelengths more than red ones. Also, metals have a higher opacity than hydrogen and helium, so they absorb some of the heat from the star’s interior, which can cause the atmosphere of the star to expand a bit, thus appearing cooler and more red. Of course then there is the fact that Population I stars are more likely to have planets than Population II stars, but that’s another story. What about metallic hydrogen? Does that count as metal?? Came across your blog, and I must say, it’s interesting. Blog posts like this are what makes this blog awesome, Brian. I really find this information very handy. Excited to read more similar contents from you in the future. Cheers!